I have officially completed the Montana Artrepreneur Program. What does that mean? I have studied, sweated and worked diligently to refine my work, as well as to learn to tell my story and build a sustainable business brand as a weaver and an artist. I have learned how to dedicate time to both the studio and the business; achieving goals, executing marketing plans and business plans while I am creating new work to sell to the public. When you ask me for a business card, artist statement, resume, press kit, portfolio or a formal proposal, I can deliver electronically and in print. If I bring you work to sell, you’ll get a record of the inventory, with product images for easy identification. I understand and can explain my price points if needed. I know how to produce and sell work at wholesale rates to retailers. Doing business with me will be a pleasure! Our weaving together is important for many reasons. I get to learn about you and encourage you on your life journey and your weaving with me provides me with joy and a sense of community. Weaving is my happy place. When the world does not work as expected, I can pick up some thread, wind a warp and create a loom-bound universe of my very own to spend some quality time in. The reality is that my output may not be perfect, but I always feel better for having spent the time on the loom. I always learn something, and get new ideas on how to improve my work the next time. Weaving teaches me several things, as much as I would like order and control, the universe has other plans. I must be careful as I reasonably can in planning, warping, and the weaving to ensure good results. I have to be willing to own my mistakes/missteps and determine for myself what must change in order to improve. Progress may be slow at times but it is not a race to the finish line to say “done, and done”. I have my lifetime to enjoy this, there really is no hurry or timeline to meet except one I create for myself. My call to action is “Weave with me.” It is an invitation to come alongside and share the joy of just “being” and sharing a common love of fiber art. I have no expectation that you will want to weave what I weave, your life and your weaving needs are not mine. There will be days that you want more information and knowledge, and there will be days when you just want companionable company for the journey. Whether you bring a loom and a project with you for our session or you make use of the looms and projects in my rolling studio, rest assured we will pass our time together pleasantly. 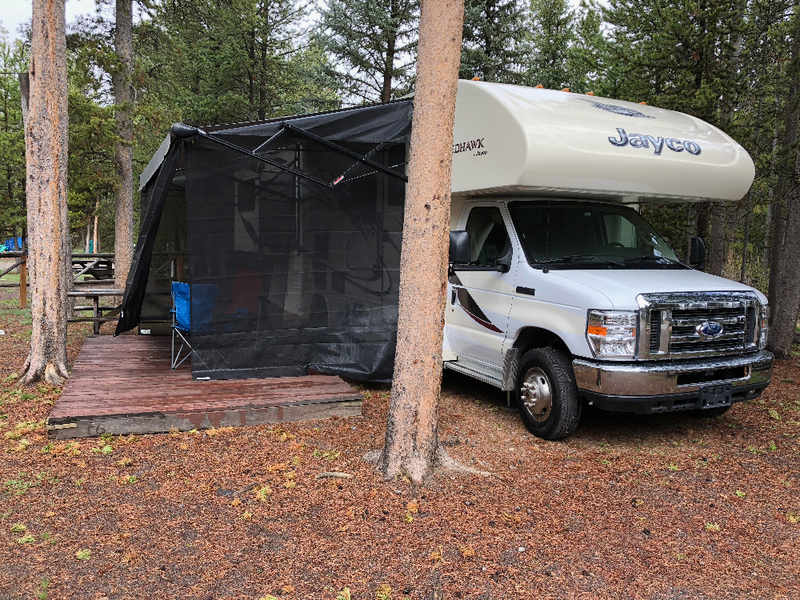 I purchased a motorhome in order to make it easier to meet you. My plan is to be able to travel to you, I love seeing new places and new people. I also no longer feel the need to move at the speed of sound. On the road, I can slow down a little and spend more time with people. 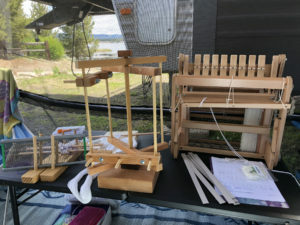 The usual teaching experience for a weaving teacher is a morning workshop or a long weekend pouring out knowledge and technique as fast as one can speak. I know that weaving takes time, and so does learning a new skill. My preference would be for spending a week or two in an area before moving on, time to see where and how you live, make new friends and finish a project of my own. 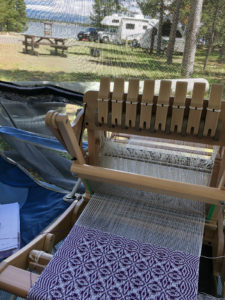 If this sounds good to you or your guild, I invite you to: “Weave with me.” Drop me an email via the contact page and let me know how I can come alongside and enrich you and your guild’s weaving experience. Let’s spend some quality time weaving together.